I’m on a mission. My objective: try to be waste free. In every aspect of my life, I’d like to cut back on the waste I generate. And the first step is to understand the amount and type of waste I generate on a day-to-day basis. In order to do that, I conducted a 7-day waste audit. During the audit, I set aside all the waste I generated for seven days and studied it at the end. The waste audit taught me more about myself than I anticipated. In fact, beyond identifying immediate actions to reduce my ecological footprint, the waste audit revealed ways that I can improve my own health! Learning about my healthy (or, rather, unhealthy) habits, was a bonus, however. The intent was to reduce my contribution to the significant waste issue that plagues our planet. On average, 4.4 POUNDS OF TRASH ARE GENERATED EACH DAY by every American. Packed in cubed feet it would be the height of the Leaning Tower of Pisa. "Trash by the numbers: Startling statistics about US garbage"
Waste is an alarming issue, indeed. But it’s one that we have the ability to control. 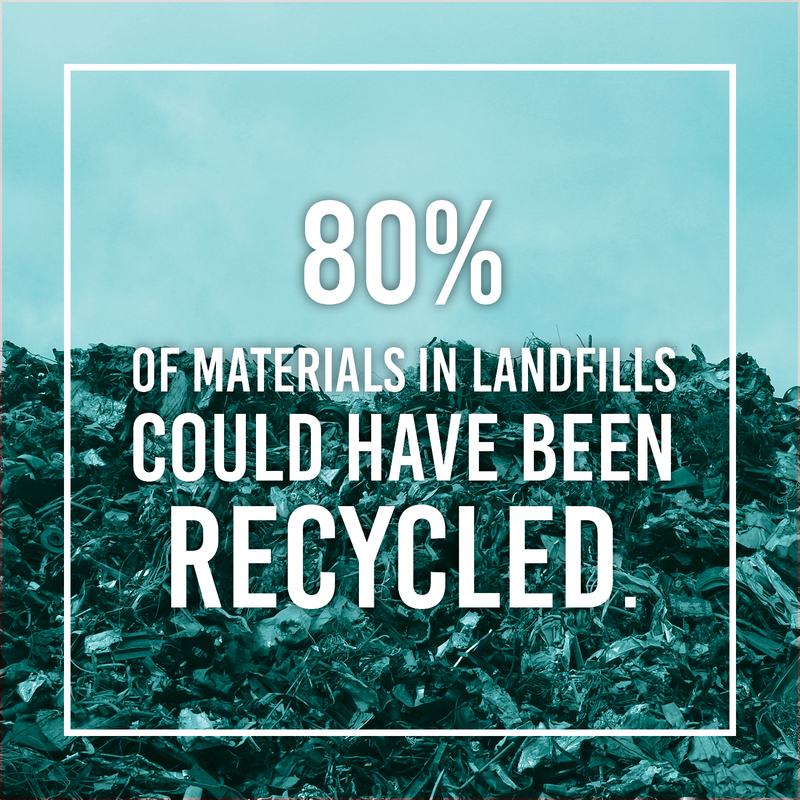 It’s hard to fathom the amount of waste we generate each day, which makes it challenging to feel a sense of responsibility. That’s where a waste audit can be eye-opening. The audit I conducted was so simple, it’s almost silly. It’s helping me make changes to reduce the impact I have on the planet, and also to make changes to improve my own life. The objective of a waste audit is to quantify the amount of waste generated over a period of time. I found the experience to be illuminating—it called attention to the scale of my ecological footprint, but it also revealed some of my worst eating habits! So after seven days, I’ve pinpointed ways that I can be greener and healthier! I conducted my waste audit solely at home. I did not quantify waste I generated at work, nor any waste I generated out in public. I already sort my waste into recycling, compost, and landfill-bound waste, but if you don’t already, it might be interesting to continue with your usual practice and sort your waste at the end of the process. I suspect that the physical task of moving waste from one pile to another could serve as a reminder to consider your waste more deliberately. Additionally, I was able to identify some things that could be repurposed, and I’ll explain that a bit below. I’ve always tried to be thrifty. I attribute this habit to my dad, who was raised by his Great Depression-surviving grandmother—you don’t throw *anything* away (uuuh, yeah, I suppose I can be a bit of a horder at times). Well, I tried to get creative last week, and so I was able to re-purpose and find new uses for some things. In a few cases, that was as efficient as returning my Pure Raw Juice Bar glass container, which will be washed and reused. I upcycled other items, meaning I found second uses for them. This includes the Brew Dr. Kombucha bottle that I turned into a vase for a house plant, or the paper statements and mail which I shredded to create gift basket filling that I stuffed inside a reused cardboard box which I wrapped in a hand-painted paper grocery bag. The bottle will be reused for a much longer term (almost permanently), whereas the shredded paper extended the life of that paper for just a little while longer. Reusing the paper for gift wrap extended the life of those materials for just a few more days, whereas reusing the bottle as a vase will provide a much longer lifespan. Reuse (discarded objects or material) in such a way as to create a product of higher quality or value than the original. During the waste audit, my compost generation was significantly higher than usual because, simply because I was more conscious about what I was tossing in the trash. I noticed that much of the stuff I originally threw into my waste bin was actually compostable. Additionally, paper towels, tissues, cotton pads, and lots of other stuff that I typically just toss in the trash bin found their way successfully into my compost bin during the waste audit … but only because I moved them there at the end of the week. Had I not gone back to analyze the results of my audit and realized the amount of compost that I was sending to a landfill. Decayed organic material used as a fertilizer for growing plants. My recycling is my greatest area of waste generation. In some ways, that seems like good news. It’s not headed for a landfill so I can feel good about myself, right? Wrong. 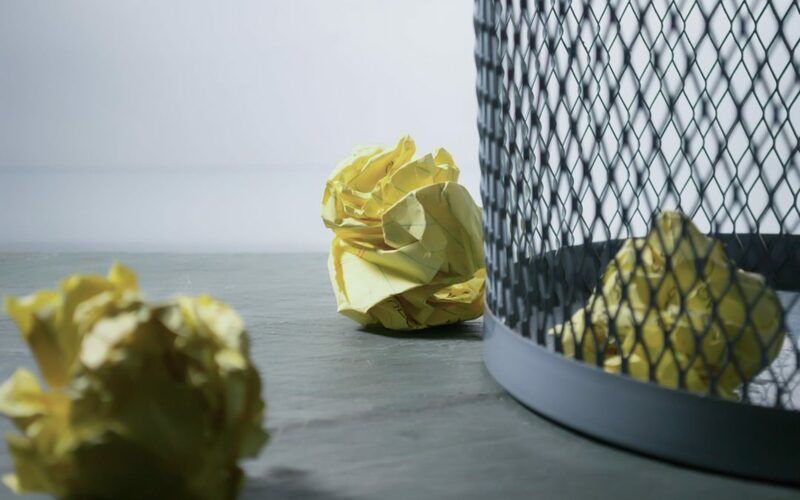 While recycling will ensure that the resources going into producing a material aren’t completely lost, recapturing those recyclable material still isn’t the most efficient process. (elaborate). I seriously need to work on buying more in bulk, buying from companies that minimize packaging, controlling junk mail, etc. Much less stuff is bound for landfills than I expected. However, that’s partially because I was particularly conscious of it during the waste audit and also because I re-sorted my waste at the end of the audit. Sadly, what was left behind—the real trash—was a lot of plastic. Plastic stickers and labels from the fruit purchased in a conventional grocery store. Candy wrappers and snack food packages. Actually, what I’ve learned from this exercise is that I need to eat better! This waste audit taught me a few things. They’re lessons that I think others will find useful as well.. Apparently, I need to think deliberately about my waste before I toss it. A lot of what I’d typically toss into a waste bin headed for a landfill was actually compostable! You better believe I sorted through my waste to move (a hefty amount of) it to the compost pile! But the audit taught me to pause and think before I toss my waste into the trash can. We should all know how to recycle before we do it. It seems simple, I know, but a lot of people are unsure of what or how to recycle—there were even times when I was unsure…and I’ve been recycling since I could walk (thanks for the good habits, Dad!). Now, each municipality is different, so it’s critical to know local rules. On top of that, it’s important to become familiar enough that you can look at something without a recycling symbol and use your own judgement to determine if it’s recyclable or not. Obviously, I play a role in the waste I generate. In some ways, I’d like to blame others for excessive waste (e.g., I can blame the producers for products with unnecessary packaging, or unwanted junk mail), but I have a voice, right? I might as well use it! One huge way I can make a difference is to reach out to junk mail senders and request to be removed from their list. I can also switch to paperless billing. And I can actively avoid products with excessive packaging, but I can also reach out to companies and let them know I’d like to see less packaging used. While I think my takeaways are probably useful for others, I still believe that we can learn a lot about ourselves by conducting the waste audit. And so I encourage you to take a week to audit your trash, recycling, compostables, etc. and see what insight you can glean from the waste you generate. Megan has been veg since June 2002. She is a passionate advocate for animal welfare, social justice, and environmental protection. When she’s not snapping photos of her food, spending time with her “vegan fam,” or writing about veganism, she’s exploring, she’s creating, and she’s working with residents and communities as an urban planner to shape the future of our towns and cities. Are you interested in sharing your product or service with an engaged vegan audience? Baltimore-based vegan food blogger sharing resources, meals, and experiences to help others live their best vegan lives.